The Nationals pounded out 15 hits in their 13-12 comeback win over the Atlanta Braves on Tuesday. With nearly every starter contributing, catcher Jose Lobaton went 3-for-4 with a home run and three RBI. Lobaton is now batting .235 on the season. Lobaton has played in just five games this season and is 4-for-17 with a home run and four RBI. He's struck out nine times with three walks. 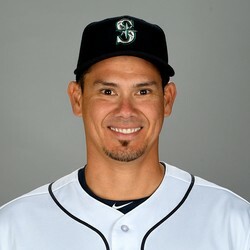 Expect Lobaton to play occasionally to spell Wilson Ramos, but likely will not have much fantasy value this season.